Many of us organize a lifelong collection of personal papers and photos either when we have free time, such as in retirement, or when we have to deal with the belongings of a someone who has passed away. Often the project seems daunting because we don’t know where to begin. Once you jump over that mental hurdle, you will be amazed at what you discover. The home archivists I work with take inventory of their materials and prioritize the collections that matter the most to them. Then they organize their heirlooms, using the same techniques that professionals at the Library or Congress and the National Archives employ. They work steadily until they create a family archives. You can too. Are you overwhelmed by organizing your family papers and photos? Jumpstart your family archives project with the Project Prioritizer. 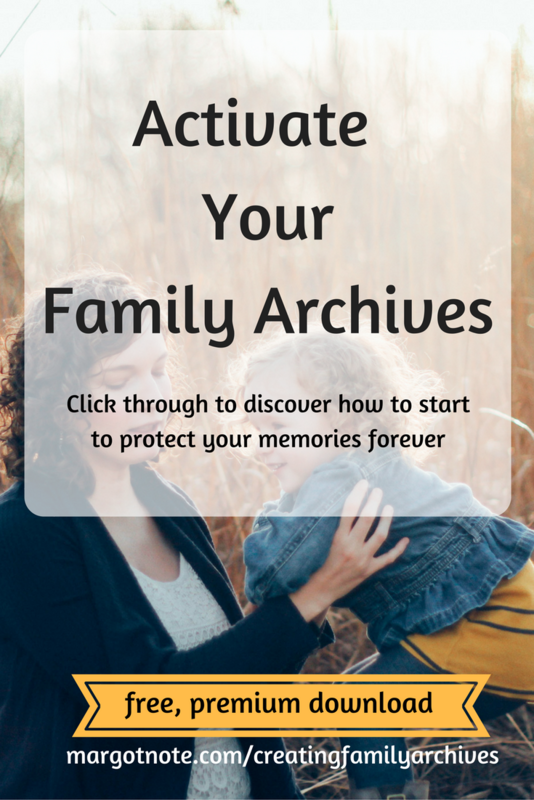 This trusted tool will help you embrace where you are with your collections and start enjoying your family archives more today.